Both of these teams started their Top 16 campaign with a win so one of these teams will be on a 2-0 record at the end of the week, which is definitely the way that you want to start 2016. 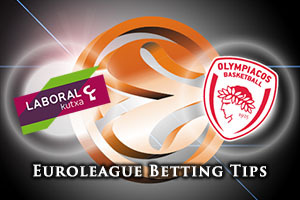 Olympiacos had a stronger record in the regular season, an 8-2 record as opposed to a 6-4 record, but both of these teams will think that they have a good chance of making it through this stage of the Euroleague season. When it comes to players that have propelled the home team on this season, few have been as important as Ioannis Bourousis. He has managed to clock an average of 14 points per game for the Spanish side in the Euroleague this campaign while also managing to deliver an average of 9.4 rebounds per game. This level of consistency can make a massive difference over the course of the campaign and if he manages to have a big game on Thursday, the home fans could be very happy by the end of the night. Georgios Printezis has been integral to the form of Olympiacos this season and if he continues this in Spain on Thursday, the Greek side will be in a very strong position in what is a very tough group. Printezis has delivered an average of 13.8 points per game this season while Othello Hunter has been another player who has delivered when his team-mates needed help the most. The strong form of the Greeks, suffering only two defeats so far this campaign, will ensure that they have every confidence for this game. This looks like being a very tight affair and it may even be that tossing a coin in the air will give you as much of a chance of getting it right! 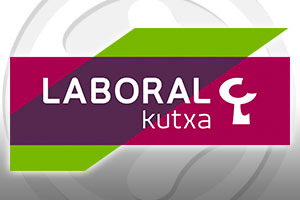 With that in mind though, the home form of Laboral should be a factor so take Laboral Kutxa Vitoria Gasteiz at -1 at odds of 1.90 in this game. When it comes to the Over/Under market, look to go OVER 152.5 which can be found at odds of 1.90. Bet Now!